A reliable guide to help everyone comprehend the intricacies of idiomatic English. 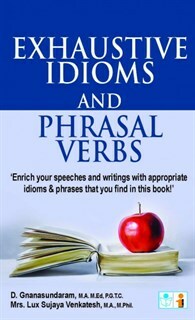 A quick and easy reference book that helps readers understand the meaning and usage of idioms. I liked the book as it is, however the conclusion did raise some questions. Discount may be given. It is a properly researched book. Good for students and even working professionals. The subjects covered are very useful in real life conditions and can be used to create a better impression on the others. The author has tried his very best to provide blend of knowledge related to the English language in a very appealing manner. A good book that is worth the purchase.